A Textile Design graduate from Falmouth University, Jade specialises in print and creates playful and contemporary patterns. Inspiration for style is drawn from a range of sources: mid-century modern textile design, Cubist and 20th Century abstract art, Bauhaus, psychedelia, postmodernism and graphic design. Some of her favourite designers include Lucienne Day, Orla Kiely, Nathalie du Pasquier, Bridget Riley and Sonia Delaunay. Never afraid to use too much colour, her designs are distinctively bold. Digital design is truly her forte yet the initial research is equally as important to her: drawing, collaging, painting and photography. Using her patterns, Jade produces stationery, home accessories, greetings cards, prints and more. 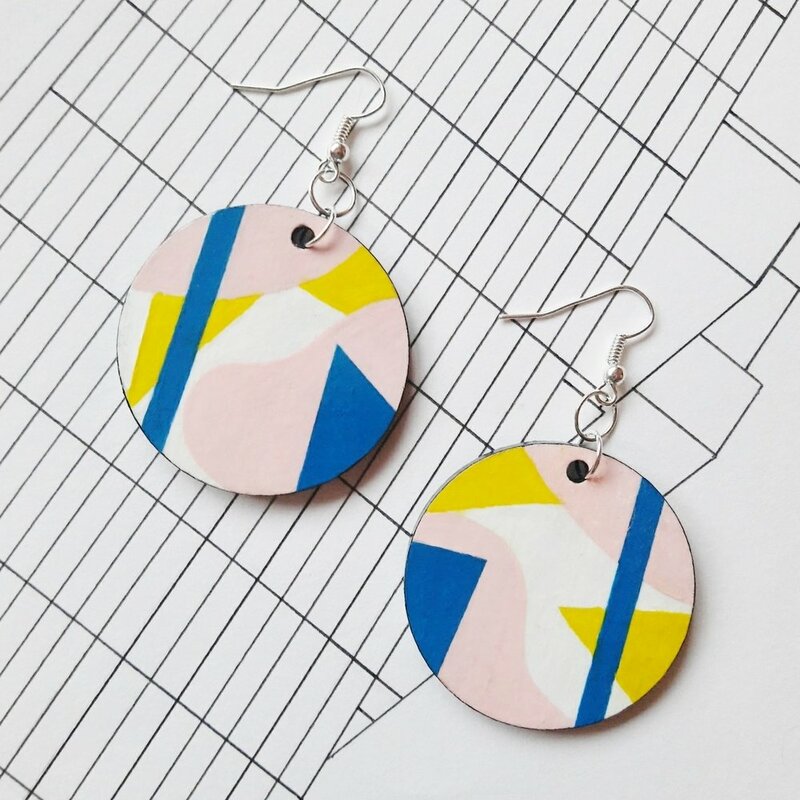 Jade has also expanded her love of colour and pattern to creating hand-painted statement jewellery, using both wooden laser-cut shapes and polymer clay. This allows Jade to experiment and create intricate, one-off pieces, bringing her bold style to everyday fashion accessories.